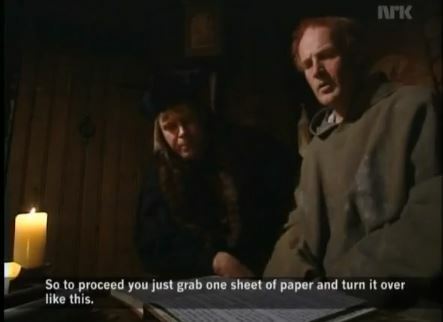 This entry was posted in Videos and tagged books, funny, helpdesk, IT, Medieval Helpdesk, monks, Norwegian, subtitles, technology, video by masterofthememes. Bookmark the permalink. Or even “safe” inside and “lose” any of the text! For anyone who has been on either side of a helpdesk conversation, this video is HILARIOUS!!! Warning: it is in another language (Dutch?) and has subtitles… but so worth it! Funny!! !